Jeff Ruby is the founder of RedRock Leadership. During the course of his professional career, he has worked in organizations ranging in size from a sole practitioner to Fortune 500. His diverse background in business is unprecedented. Included in his experience are roles in starting and selling companies, sales and sales management, training and development, executive coaching, human resources, strategy, analysis and marketing. His clients have seen results from his contributions through increased sales and profitability, increased effectiveness of their teams, growth and development of future leaders, clarification of strategic intent and direction, and cultural change in the midst of rapidly changing market conditions. His unique capabilities include consulting, executive coaching, sales performance management, talent evaluation, sales process and skill development, strategic planning and strategy development. Prior to forming RedRock Leadership, Jeff was Founder and President of The Ruby Group, a Sandler Training Franchise in Ohio. In this role, he led his team in developing highly effective sales and leadership teams for hundreds of companies in a variety of markets throughout the United States. In 2005, after building a profitable business, Jeff sold the company. 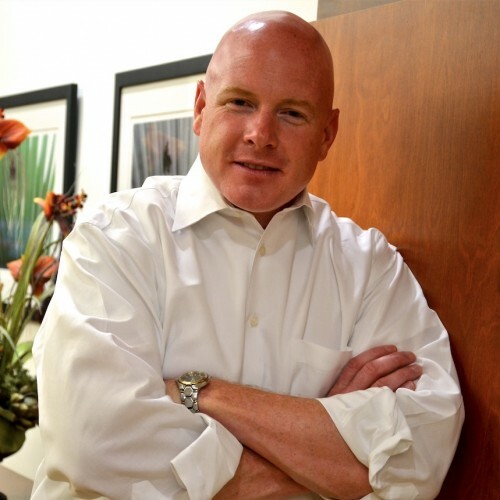 Prior to founding the Sandler Training franchise, Jeff worked in a variety of roles for Illumetek Corp, a national lighting management company, including a role that was responsible for cultivating new key accounts. In that role he was also responsible for marketing, job costing, profitability analysis, customer management and directing sales for Illumetek’s retrofit and service division. His efforts directly related to an increase in profit and an 800% + increase in sales over a four-year period. Prior to that role, he led the Service Sales Division for The Geopfert Company, an Ohio based mechanical contractor. Among his most notable accomplishments was overseeing the sales of 219 new service agreements over a three-year period and establishing 130 new commercial and industrial accounts. Jeff is a dynamic and powerful speaker. His motivational messages and real life stories can be applied to virtually any industry and can make the difference between struggling to stay afloat and moving forward to achieve life goals. Jeff was born and raised in northeast Ohio. He resides in the Tampa Bay area with his wife, two daughters and his dog, Rosco. He graduated from The University of Akron with a Bachelor of Science in Business Administration. He currently serves on several committees at Idlewild Baptist Church and also serves on the board of 1st Priority of Tampa Bay. Find out more about Jeff Ruby at https://redrockleadership.com/speaking/.